It feels really strange to accept the fact that I have been ignoring the blog since long but I can easily put the blame on the rough times me and my extended family had been through (more about that in my next post)! And while life could be really mean to you, yet there are moments when you can’t help but wonder how comforting and buoyant some incidents could be! 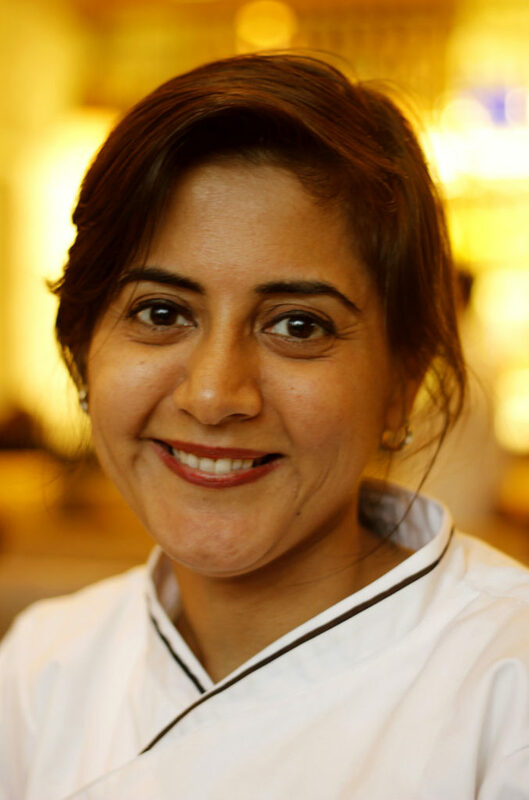 Thanks to my blog, I have met many amazing people, online as well as offline, often discussing at length, the nitty-gritties of Sindhi cuisine and one such person is Chef Jyoti Vishnani. A sweet, petite and pretty contestant of Masterchef India, season 4, Jyoti, a Sindhi Chef from Ulhasnagar (my home town) wears many feathers in her hat. 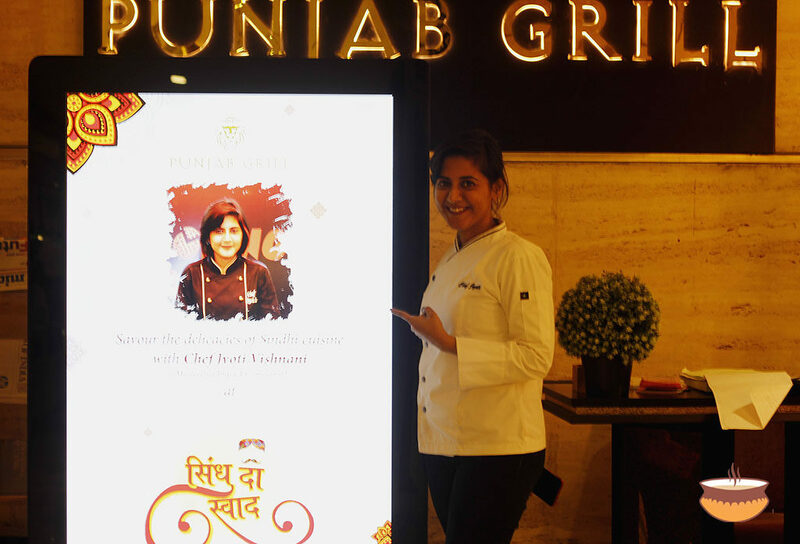 Her talent and hard work led her to be a part of a prestigious project with Chef Vikas Khanna, an opportunity to share her recipes on ‘Tata Sky Cooking’ and a privilege of gaining work experience at Chef Sanjeev Kapoor’s Signature by Sanjeev in Doha. 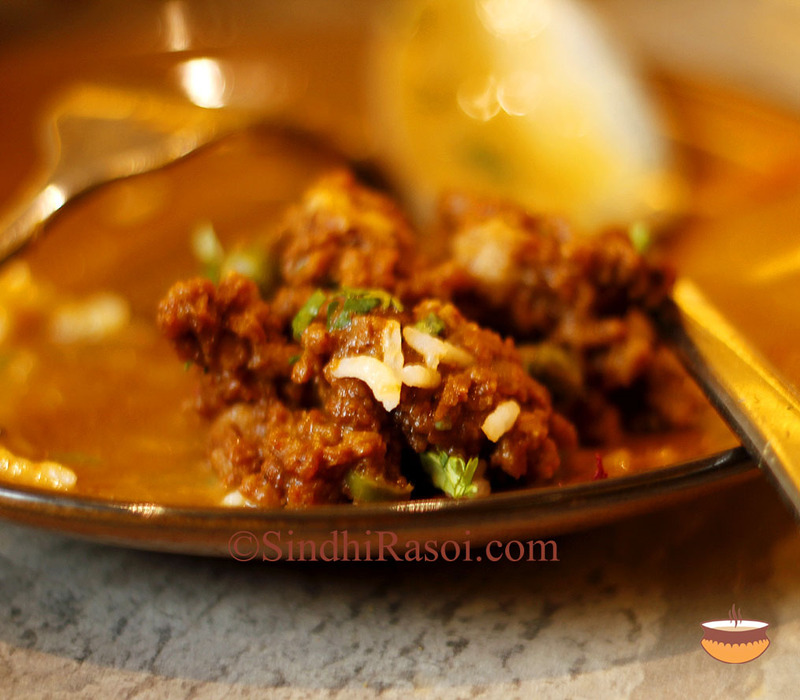 Jyoti and I often discuss about Sindhi cuisine, its history and evolution and also rant about the way it is neglected by restaurant industry, about the dearth of fine dining Sindhi restaurants and the measures that need to be taken to bring our cuisine on global radar. So when she told me about a Sindhi Pop-Up she has curated for Punjab Grill, in Mumbai, I was obviously thrilled beyond words. Yesterday I had an honor to be one of her special guests and I thoroughly enjoyed the food and her company. Here are the deets! 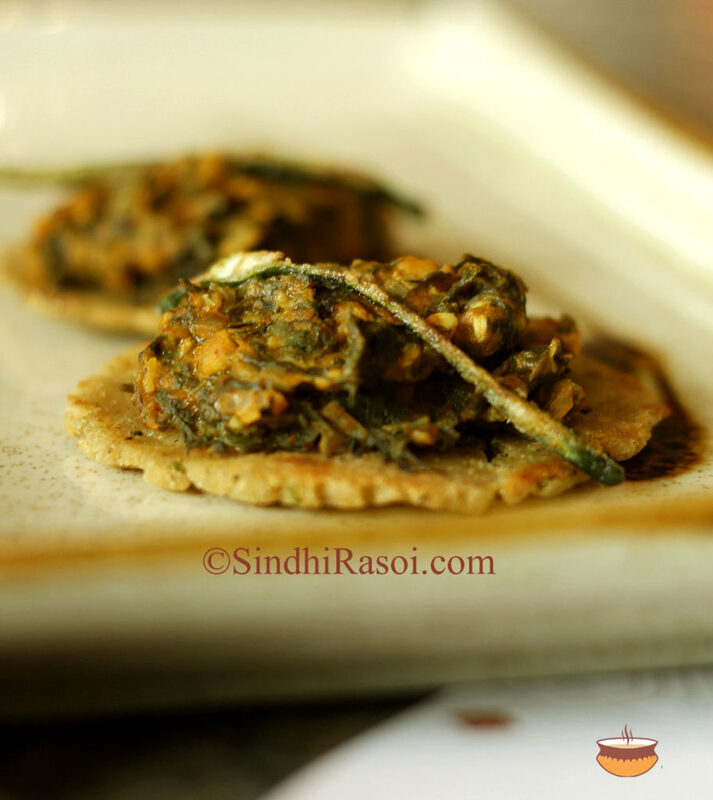 The Pop-Up: Sindh Da Swad, the Sindhi food Pop-Up at Punjab Grill ( BKC and Kala Ghoda outlets) curated by super talented Chef Jyoti Vishnani, commenced on 6th April 2019, would wind up on 14th April. Folks in Mumbai, please do attend this! 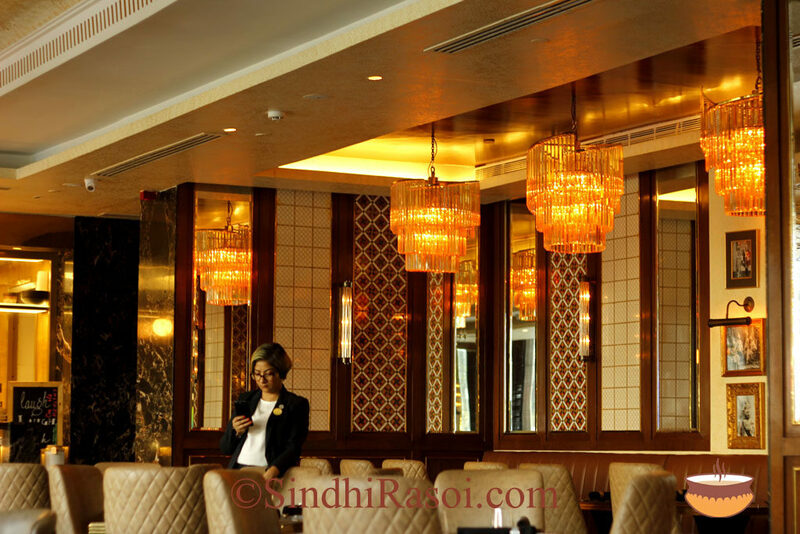 I visited Punjab Grill at BKC with great expectations and thankfully I was not disappointed. The ambiance was pleasant and the staff,very courteous! It was late afternoon, hence the place was quieter and Chef Jyoti and I had long conversations about Sindhi food, the pop-up, the menu and of course about our cravings for Ulhasnagar’s Sindhi street food. 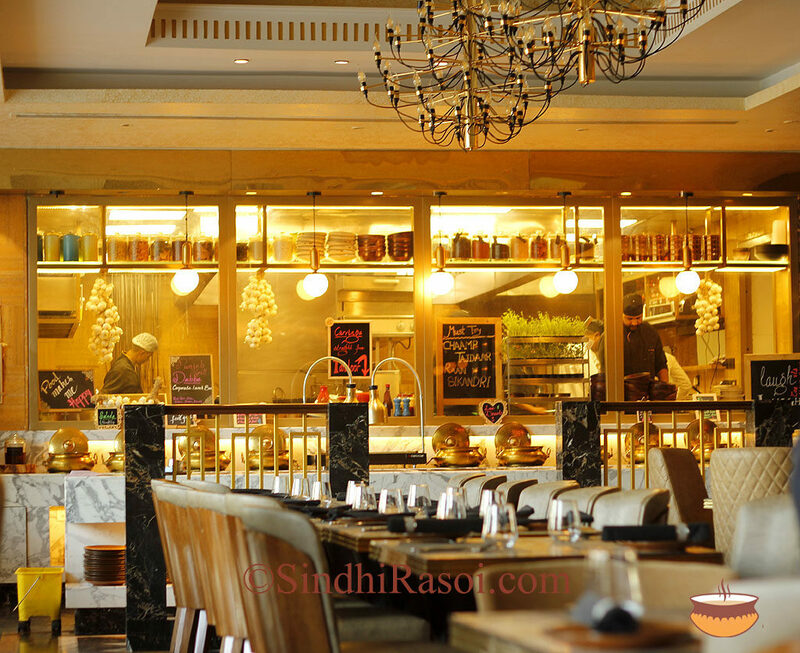 The Menu: If you are well versed with Sindhi Cuisine you would surely acknowledge the efforts put in by the Chef, to curate the exhaustive a la carte menu. To begin with, the Summer coolers on the menu are Rose Sherbet and Chandan (Sandalwood) Sherbet. Starters: Dal Pakwan ( Mixed lentils topped with vegetable garnish and tangy chutney served with crunchy crisps), Batan papdi chaat (unique Sindhi street food), Saibhaji dodoh (Signature Sindhi Spinach, veggies and lentils mash topped on flavorful Jowar roti /canapé) and some more popular snacks from the cuisine. Non Veg. Starters like whole fish fry, Keema patties etc are being loved by the diners as per Chef’s observation. Mains: The most popular and loved dishes from the cuisine are thankfully up on the menu. 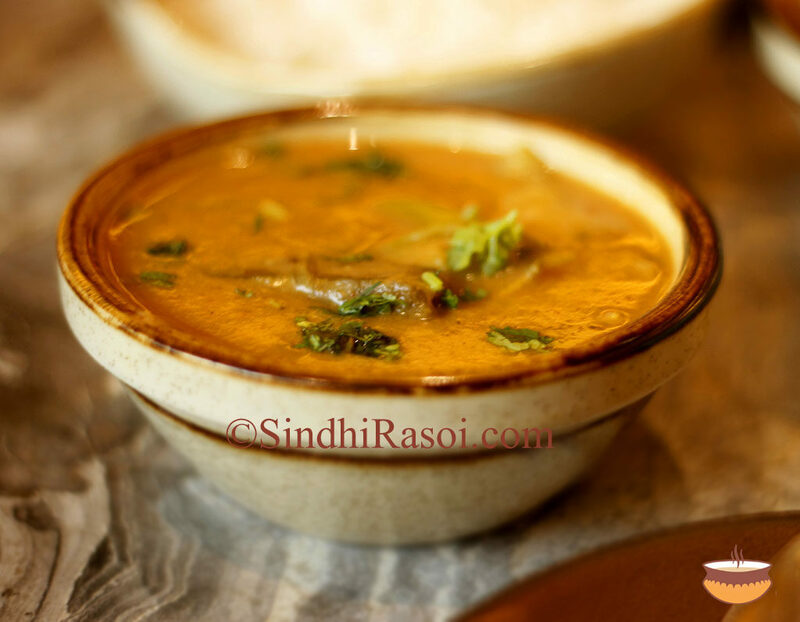 From Tidali Dal (three lentils mix) to Sindhi Kadhi and from Bhughal mutton to traditional fish preparations, one can pick plenty of dishes to try out to satiate Sindhi food cravings. The famous Sindhi rice dishes including Bhuga chaanwran (Garam masala flavored rice cooked with caramelized onions) and popular flatbreads like Koki and Dodoh wonderfully compliment the kadhi and curries, equally! 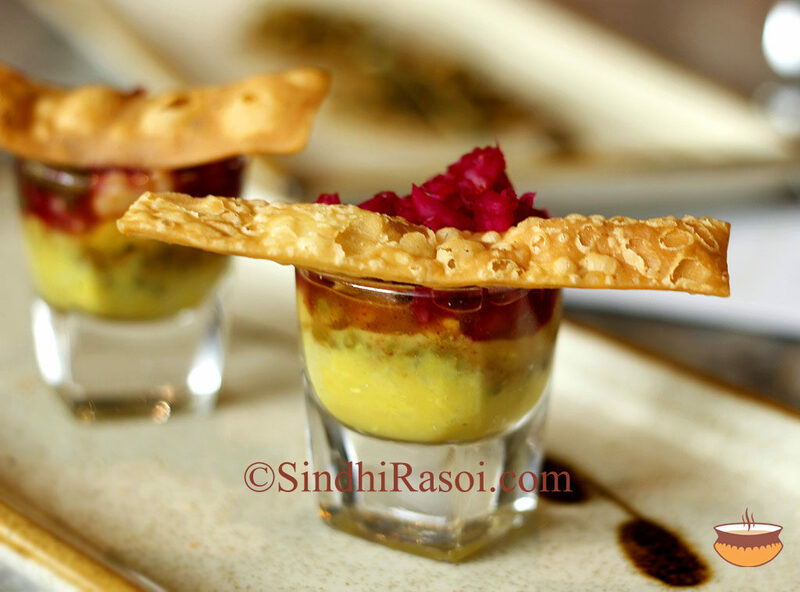 Desserts: You cannot afford to not have falooda on the menu if you are serving multi course Sindhi food or exclusive Sindhi desserts. So yes, you can gobble that after a scrumptious Sindhi meal. Singhar Ji mithai, yet another gem from the cuisine is made in-house so it is a must try dish on the menu as well. Since I was alone, I opted for few selected dishes and requested for tiny portions of each. The portions actually served to diners are obviously bigger! 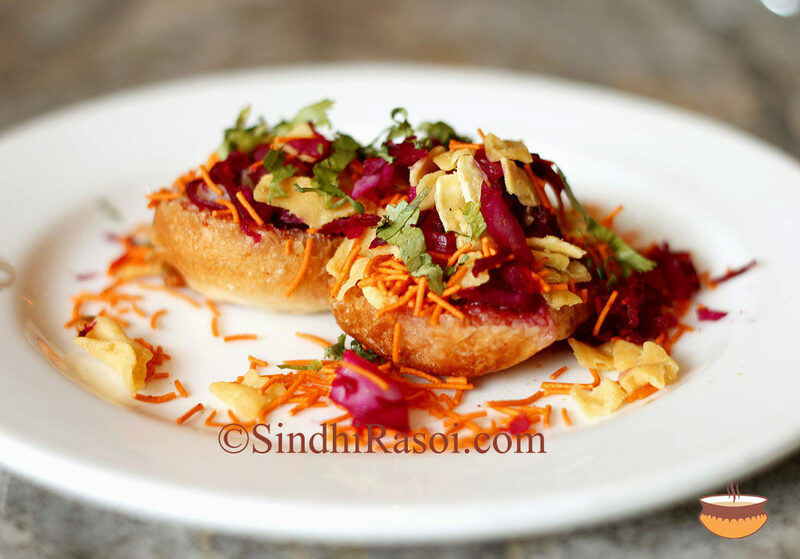 To begin with, there was the unique Sindhi Chaat dish called Batan Papdi also known as batarn or batar papdi. The special Batan rusks dipped in tangy chutney and topped with papdi, beetroot touched onions and Dal moath (farsan) served as a perfect start of the meal.Those who have tasted the dish at any stall or eatery in Ulhasnagar, the popular Sindhi dominated area in Mumbai, would really appreciate the perfect replication of street food flavors of this chaat. I had a hard time holding back my temptations of requesting ‘ thoda paani dena bhaiya‘ ( paani, here, refers to the chutney). Would highly recommend the chaat with an extra shot of chutney. 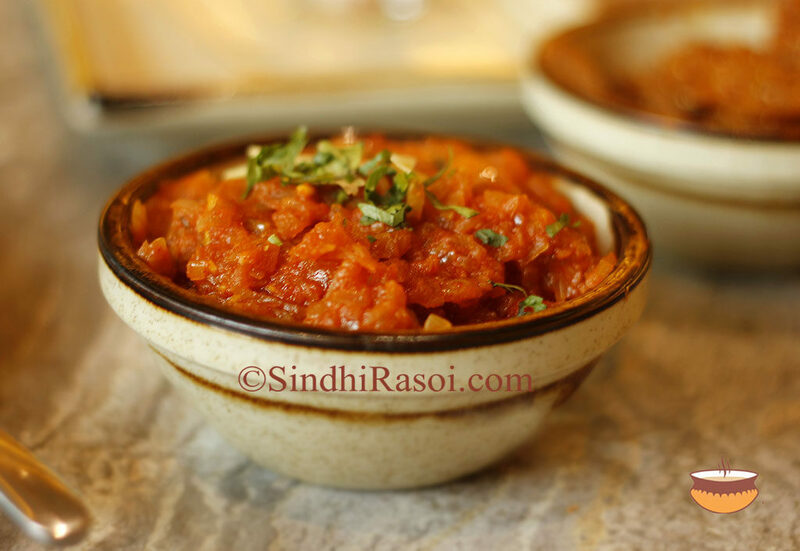 Dal Pakwan: This popular Signature Sindhi dish, usually considered as a heavy breakfast, was served as a starter. The dish of mixed lentils cooked to perfect creamy consistency, topped with typical garnish of onions, potatoes, tomatoes and green chutney, served in shot glasses along with pakwan (crisps) was modern in appearance but had remarkable traditional flavors. And since portions were moderate, you are left with plenty of room to try out other delicacies. Saibhaji Dodoh: The canapé stole my heart! Saibhaji, the mash of spinach, veggies and lentils served on the Jowar dodoh (refers to patted flour rotis) discs reminded me of my mom ( and this is a big deal) and her signature dish; Juar Jo dodoh! The Saibhaji had a dry-ish texture so that it could be served as a top up on dodoh. The subzi had a perfect blend of earthiness of spinach, tartness of tomatoes, aroma of dill leaves and nuttiness of Chana dal. And the dodoh had that magic touch of sayi thoom or fresh green garlic that makes Sindhi dodoh so appetizing. I gobbled multiple portions of this lovely dish! Yes, it was that good! Aani Basar: Aaani in Sindhi originally meant fish roes. 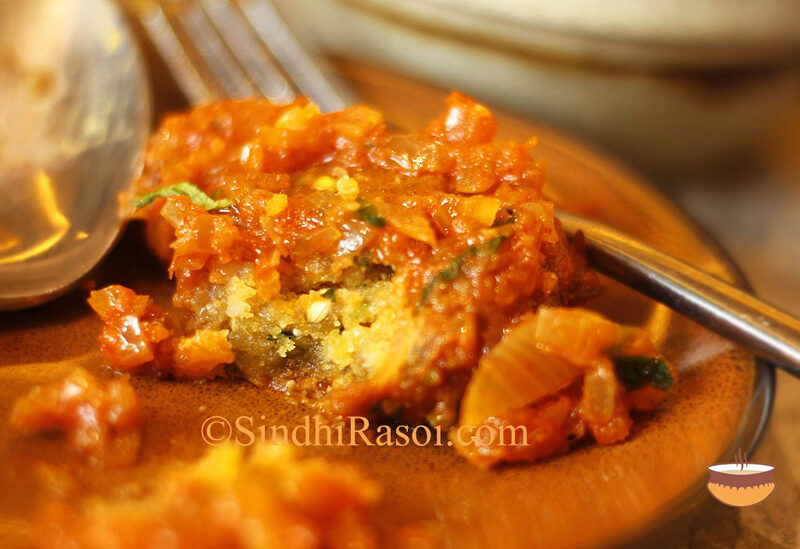 Fish roes fritters cooked in Onion tomato base was/is known as Aani ji bhaji. 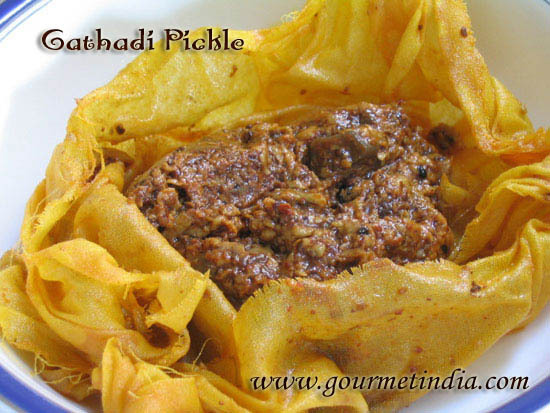 The vegetarian version is made by flavorful gramflour tikkis fried and added to curry. The aani basar in this pop-up is the vegetarian version. The portion I received was bit high on salt but what I loved about the dish was the melt in the mouth texture of tikki. For the perfect aani dish, tikkis must be well spiced ( and not bland) and must be soft enough to cut in through, smoothly and Chef Jyoti really nailed it! The crunch and nuttiness of whole coriander seeds while having a bite of tikki was a delight to my taste buds and the copious amounts of moyan (fat) gave the tikkis the quintessential texture and crumb. The sweetness of onions provided a delicious base to the tikkis. It was neither bland nor had overpowering masala (spices) flavors. Kadhi chaanwran. 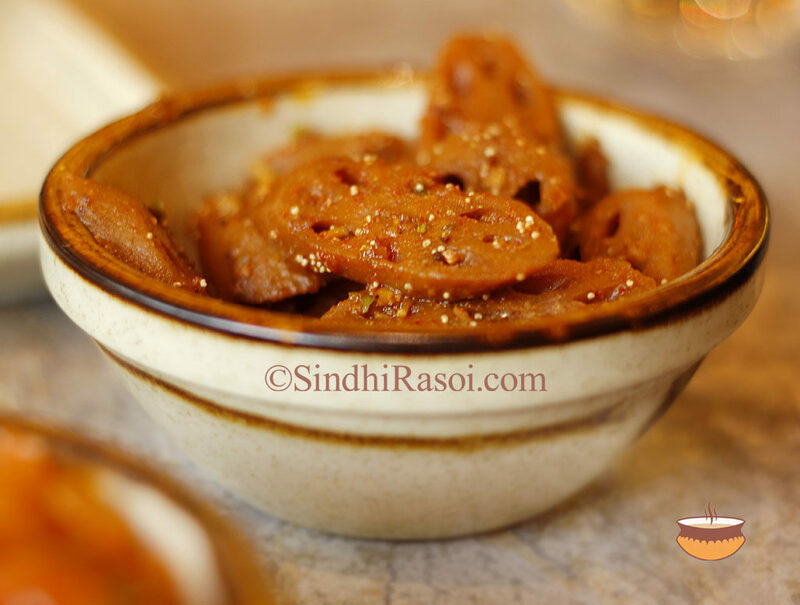 Yet another signature Sindhi dish, a delicious blend of roasted gram flour, tangy tamarind and goodness of vegetables, this humble dish is always a winner! Chef Jyoti’s version of kadhi was bit thicker than the one we make at home but it surely had the robust flavors and aroma of perfectly roasted flour, a key factor that decides the fate of the dish. The choice of vegetables used in Kadhi was completely in sync with my preferences, particularly the okra and potatoes that were cooked to perfection. Thankfully the overpowering Cauliflower or oddly placed peas or bhee (lotus stem) were not used in the Kadhi. Kadhi was paired with aromatic steamed/ boiled white rice. If you happen to order this dish, I would highly recommend you to take a small portion of rice in a bowl and ladle some hot kadhi over it to make a soupy rice kind of mix and relish it the way Sindhis do, typically! Bhughal Bhee: Honestly speaking, the Bhughal bhee I know, is a dish made from boiled lotus stem cooked in onion tomato gravy to the extent where the gravy turns like a coating on lotus stem chunks.But Chef Jyoti’s version was very different though I simply loved the bursts of flavors of this dish as well! I am very biased towards lotus stem as I love it in any form and hence this dish too passed the taste test with flying colors. 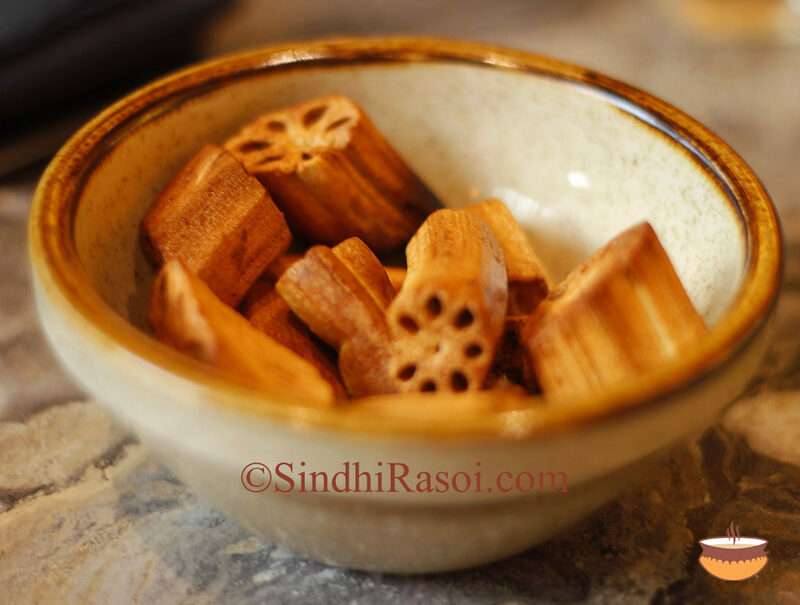 The slightly pungent flavors of garlic and green chillies complemented the earthy flavors of lotus stems while the poppy seeds gave a slightly crunchy, sweet nutty twist and the typical Sindhi garnish of amchoor powder tickled my traditional Sindhi taste buds! I hogged on these as well! Degh waari Bhaji: I had filled myself up by now, but couldn’t resist tasting Degh waari Bhaji since the dish always takes me down the memory lane, back to my childhood days when food served during marriage ceremonies in Sindhi communities was generally Kadhi chaanwaran and/or degh waari bhaji. Huge portions of lotus stem and unpeeled potato chunks cooked in brinjal, onion, tomato gravy, heavily flavored with freshly toasted and ground garam masala cooked in huge degh over logs and served with khada masala spiced rice was termed as Degh waari roti ( roti here means food and not chapati). Eventually lotus stem was replaced by other ingredients like Macaroni, Phoolpatasha, Soya granules etc and now in many temples or on religious occasions/ celebration meals, you will find the later version of degh waari bhaji. If done right, the dish can beautifully mimic the flavors of meat curries. Chef Jyoti’s version had soya granules and phoolpatasha and pronounced flavors of garam masala. I would have preferred a little gravy in the dish as personally I prefer to have this curry with boiled rice, just as in good old days! Judging my love for lotus stem by the way I was focusing more on it, Chef Jyoti went inside the kitchen to get some fried Bhee kachryun for me. My soul just blessed her’s, as I munched upon the crisp, crunchy bites of sundried, fried lotus stem chunks! I really felt sad as I couldn’t relish the classic meat dishes like Mutton, taryal machchi, keema patties etc because of the ongoing Navratras and had to resist the temptations to try out sherbet or falooda and other desserts as I am currently off sugar for health reasons. I wish I could taste everything that’s on the menu!I hope Sindh Da Swad gets extended beyond Navratri so that I can go back again and relish the rest of the dishes from the menu. Great job done Jyoti! So very proud of you! Please note: Since Chef Jyoti refused to let me pay for the meal, I don’t know the price of any dish. 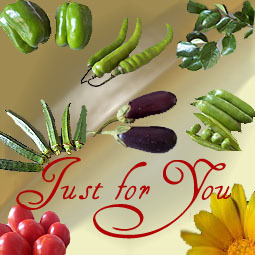 The portions that you see in pictures were customized aptly so as to avoid wastage of food. The actual portions served in a la carte are bigger! You can visit the BKC or Kala Ghoda outlet of Punjab grill to enjoy Sindh Da Swad pop-up!